WONDERFUL to see steam on timetabled services on the Settle and Carlisle line this week. For the first time in half a century it’s been possible to buy a ticket on National Rail and travel behind a steam locomotive on a normal scheduled train service. 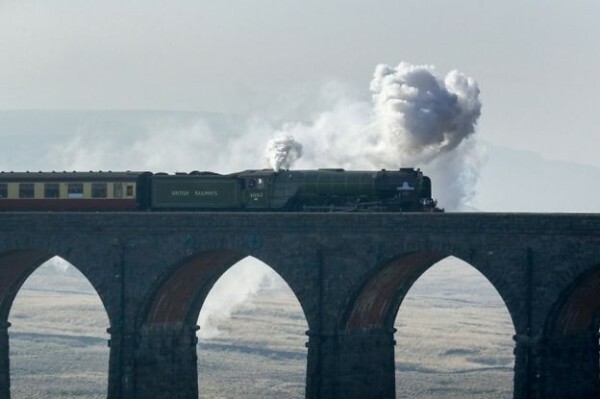 Of course, the S&C line – England’s most scenic – is no ordinary railway any more than Tornado, which hauled the trains is your bog-standard steam locomotive. And the services only last for three days. It’s a brilliant idea – as the eminent former British Rail chairman Peter Parker used to say “heritage warms the market for the modern railway”. If you can’t get to the S&C this week, then take an armchair journey from my book “On the Slow Train” published by Arrow Books. Not qui the real thing, but you won’t be disappointed.